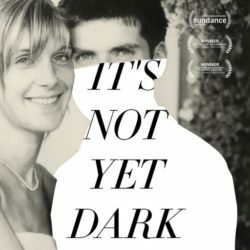 It’s Not Yet Dark is available on demand NOW in the US! Coming soon to Irish cinemas nationwide 13th October 2017!!! It’s Not Yet Dark is confirmed for another international premier this time in the beautiful university city of Cambridge, England! It’s Not Yet Dark was confirmed for another international competition this time on the beautiful island of Patmos! Wed, Apr 5th, 2017 @ 6:30PM SOLD OUT! Wed, Apr 5th, 2017 @ 9:15PM SOLD OUT! Thu, Apr 6th, 2017 @ 6:45PM SOLD OUT! Sun, Mar 26th, 2017 @ 7:00PM Cinéma Actor’s Studio SOLD OUT! Thu, Mar 30th, 2017 @ 5:30PM Cinéma Galeries SOLD OUT! Sat, March 11, 2017 @ 3:45PM OLYMPION SOLD OUT! Sun, March 12, 2017 @ 3:30PM FRIDA LIAPPA SOLD OUT! Sat, 21st Jan 2017 @ 3:00PM Yarrow Theatre SOLD OUT! Sun, 22nd Jan 2017 @ 6:00PM Tower Theatre SOLD OUT! Tue, 24th Jan 2017 @ 4:00PM Redstone Cinema 2 SOLD OUT! Thurs, 26th Jan 2017 @ 9:00PM Yarrow Theatre SOLD OUT! Fri, 27th Jan 2017 @ 3:15PM Holiday Village Cinema 2 SOLD OUT! It’s Not Yet Dark wins both “Best Documentary” and “Best Cinematography in a Feature Film” at the Galway Film Fleadh awards! Sat, 9th July, 2o16 @ 6:30PM Town Hall SOLD OUT! © 2019 Copyright Newgrange Pictures & Kennedy Films. Web Design by Inner Circle.